Decades of overfishing in the English Channel has resulted in the removal of many top predators from the sea. Decades of overfishing in the English Channel has resulted in the removal of many top predators from the sea and left fishermen ‘scraping the barrel’ for increasing amounts of shellfish to make up their catch. Sharks, rays, cod, haddock and many other species at the head of the food chain are at historic lows with many removed from the area completely. These are some of the findings of a study led by marine biologists at Plymouth University, in association with international non-profit research organization WorldFish. They analysed catches over the past 90 years and found significant evidence of the practice of ‘fishing down the food web’. The report, published in the PLOS ONE journal, used catch statistics from the International Council for the Exploration of the Seas to establish a ‘mean trophic level’ for catches – an average for how far up the food chain the fish are located. Today, the UK and France land around 150,000 tonnes of seabed fish and shellfish per year from the 75,000 km2 Channel – a huge increase from the 9,000 tonnes recorded in 1920 and the 51,000t in 1950. During that time, the composition of landings has altered dramatically, with sharks and rays declining from 34% of catch in 1920 to 6% in 2010. The contribution of ‘cods, haddocks and hakes’ similarly fell from 48% to just 4% over the same timeframe. Spurdogs, tope sharks, thornback rays, Atlantic cod, ling and European hake show the most remarkable decline, while flounders, halibut and soles have changed relatively little during the time-series. The falling levels of finfish has been counterbalanced by increased landings of shellfish such as scallops, and of squid, octopus and cuttlefish. This has in turn raised concerns over long-term sustainability, and the potential damage done to the marine environment as a result of dredging and trawling for these invertebrates. The researchers say that far from being a modern phenomenon, overfishing can be traced as far back as the 19th century, with declining stocks reported in 1863. But geographic expansion into new fishing grounds and improved technology combined to maintain increased landings. 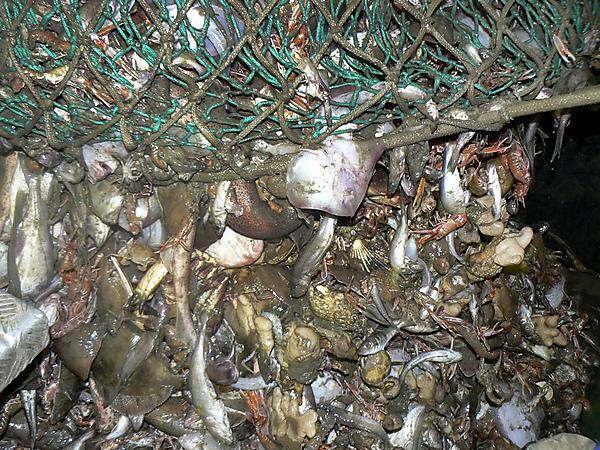 The full report, Overfishing and the Replacement of Demersal Finfish by Shellfish: an Example from the English Channel can be viewed in PLOS ONE when it is published on July 10.